Kitchen! Kitchen! 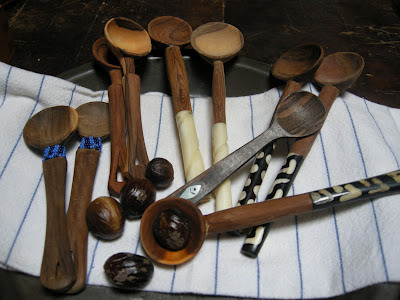 : ladles and spoons.....at kitchen! kitchen! As part of my blog, my love for unusual and old kitchen tools. take pride in their craftsmanship. 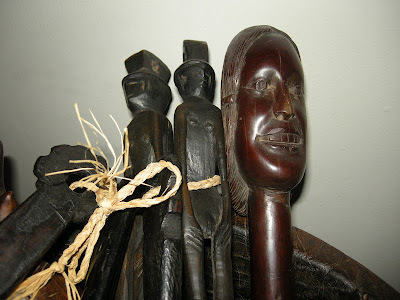 a solid wood and the handles often decorated with animal bone. of the finest hard wood. A beauty to behold. who in turn gifts it to me on her yearly visit here. 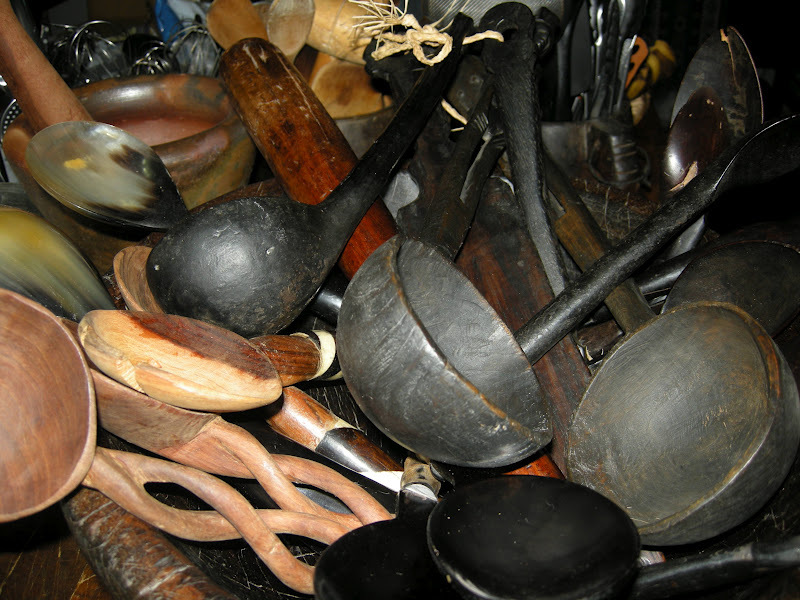 and decorated spoons is Africa.